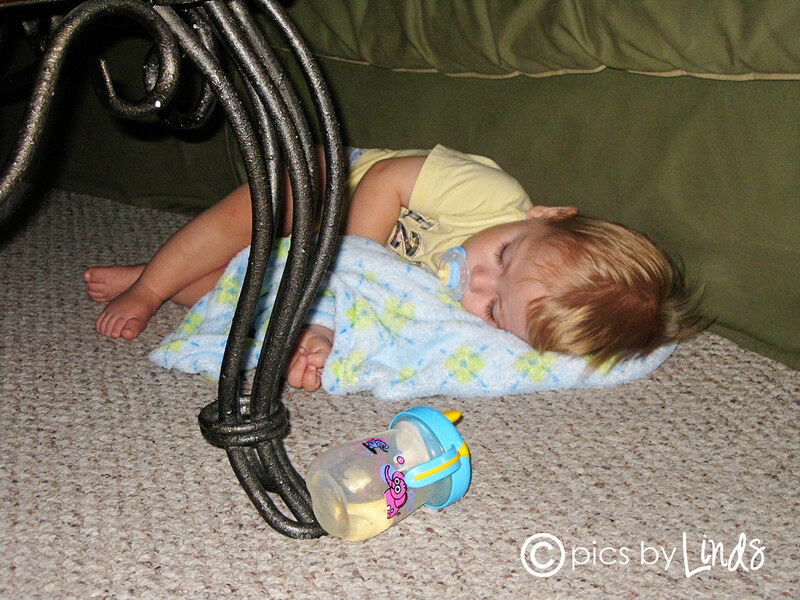 Yesterday Brayden took an unusually short afternoon nap. I chalked it up to me putting him down late, but after he wouldn't quit crying I went to check on him. He just didn't seem himself, so I tried to console and have him lay on me to go back to sleep, but that didn't work either. After fighting it for an hour, I just gave up and let him get up. He was SUPER fussy. I was starting to lose my patience, but then I realized he was also a bit warm. I took his temp and he was running a low grade fever. The only thing I could do to get him to calm down was to get his paci and set up shop on the couch to snuggle and watch Praise Baby. And he took the bait! When Brayden snuggles, you know he's REALLY not feeling good, because he normally never sits still enough for us to enjoy a good snuggle session. Once Praise Baby was over I started the movie again but set him down on the floor for a bit so I could call a friend. About 15 minutes went by and I didn't hear him or see him, which normally means trouble. I got up from the table and walked into our living room expecting him to be in toilet paper or splashing in the toilet. 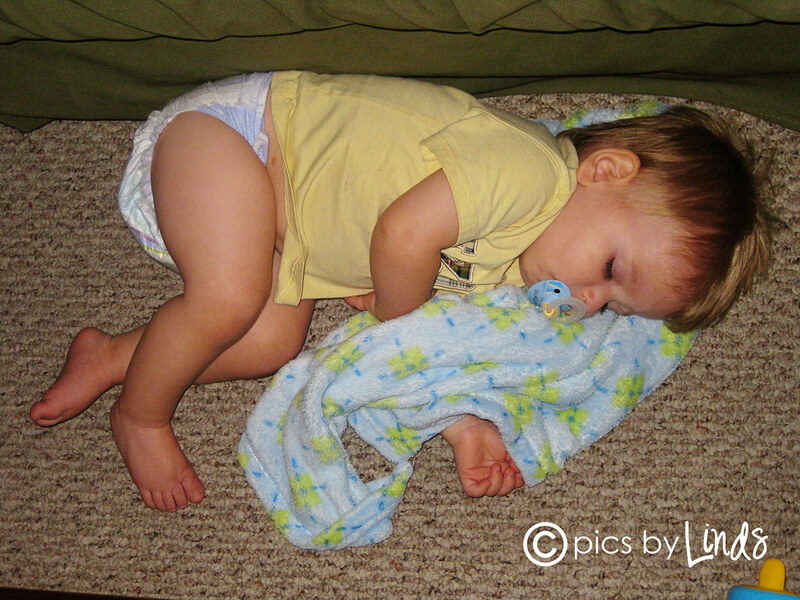 Much to my surprise, he was curled up on the floor with his blankie fast asleep! Poor little man! 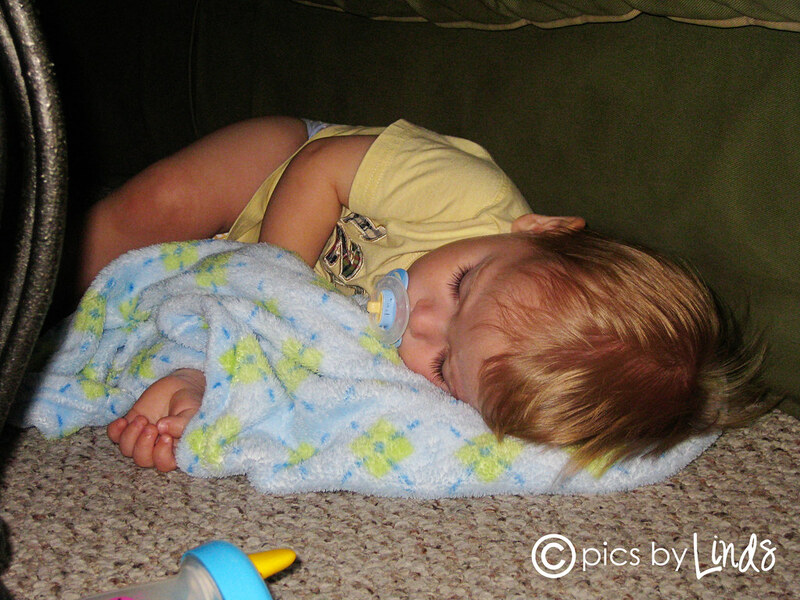 He's SO sweet when he's sleeping :) Of course, I know I am biased. 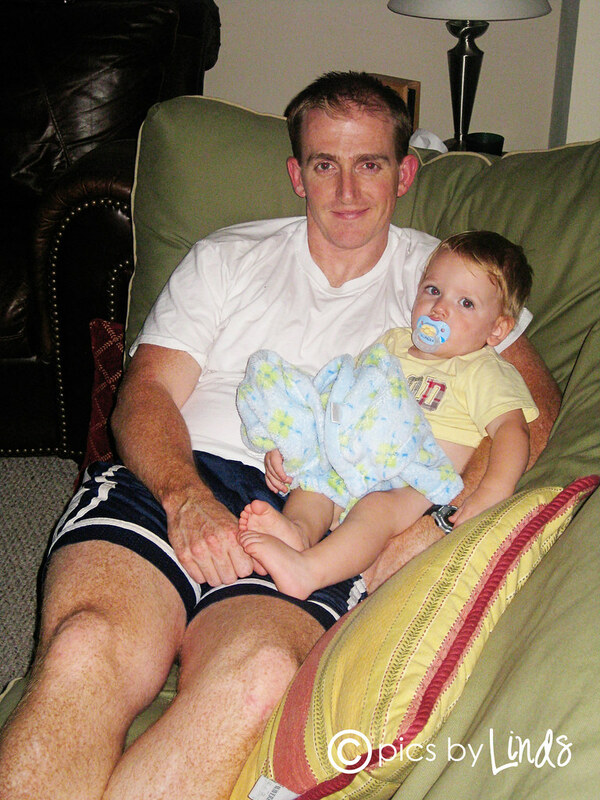 Daddy got home about an hour later, and spent some more time snuggling before bed. Thankfully he slept through the night and woke this morning with no fever. I am chalking it all up to teeth, since his 12 month old molars are STILL working their way in. We have one more left, and I am hoping this is the last of them for a while. Poor B-man needs a break from all the teeth drama!